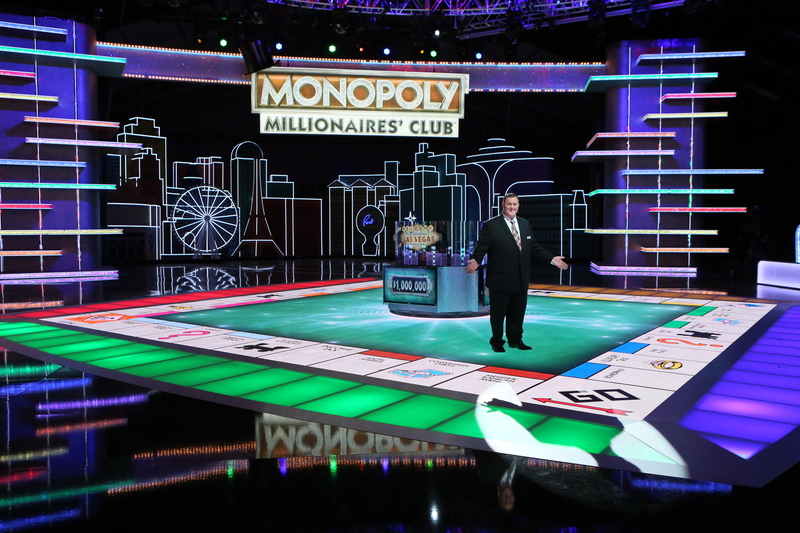 Monopoly Millionaires’ Club co-host Todd Newton sits down with BuzzerBlog to talk about MMC, the future of game shows, and cookies. Hey Todd! Pleasure to talk to you. Can you hear me OK? How ya doin’, man? I’m in a very remote part of Canada here, so I’m glad we can connect. Where are you in Canada… and why? I am on Prince Edward Island, a beautiful little historic town called Charlottetown, and we’re here for The Price is Right Live stage show, which I’ve been hosting for about 13 years. We’re performing tonight and tomorrow night, a couple of big sold-out shows. A lot of game show fans up here, so instead of them coming down to see us, we come up to see them. Oh, that’s fantastic. Yeah, Canada’s beautiful. I guess now is a good time to be in Canada. It shouldn’t be that cold, I guess? Uh, it’s not too cold. It’s absolutely beautiful during the spring and summer, so this isn’t the ideal time to be here, but it’s still a great walkin’-around town. Can’t complain! This is for BuzzerBlog, so I’m gonna just nerd out for a bit: Price is Right Live is awesome. 13 years, you said? 13 years, you’ve hosted this? 13 years. Funny—We started right when my oldest child was born, so I can always remember the exact date. We started in a tiny little theater in Reno, NV. That showroom held about 125 people. 13 years later, here we are, playing for 4,000 in Canada. It’s pretty crazy. We’re getting ready to start a US tour that’ll begin in New York in a couple weeks and then make our way down the eastern seaboard to Florida. In addition to Monopoly Millionaires’ Club, it’s a wonderful way to keep my game show host skills sharp, and keep making that game show magic, as I like to call it. Absolutely. And you’re all over game-show-dom. I know most of our readers loved you in Whammy and Hollywood Showdown. Was that your first game show that you ever took the helm with? That was. Yeah, that absolutely was. I entered the game show world in 1999 on Hollywood Showdown. Game show pioneer Sande Stewart, whose father created the original Price is Right and Password and To Tell the Truth and so many others—Sande was the one who introduced me to it, and he was my first mentor. Bob Barker, of course, was my second mentor. The moment I even stepped foot on the set for the audition, I knew that game shows were what I wanted to do. I loved the live feel of it, I loved not having the luxury of a second take, I loved standing alongside contestants when they win large sums of money. There’s nothing better. I grew up watching Bob Barker, of course, and Gene Rayburn and Johnny Carson, and I studied old tapes of people like Steve Allen. This, to me, is my craft, this is what I devoted my career to. There is no Plan B, I mean, this is what I love and this is what I plan to do until either I can’t do it anymore or until the world runs out of cash and prizes, whichever comes first. [laughter] So, Sande Stewart. That’s a wonderful mentor to have if you’re gonna be Mr. Game Show, as it were. What’s one piece of advice that really stands out that Sande gave you, starting out as a game show host? Sande told me one piece of advice that I hold near and dear, and Bob told me the other. Sande told me to go out there and make the game the star. You know, always remember that the game is the star. I think a lot of hosts tend to forget that, and it’s easy to do when you’ve got people screaming for you and all the lights flash on, and you see the little red light on the camera come on, and you know you’re on—it’s very difficult not to want to look and be your best and to forget why everyone is tuned in, you know? They love the game and they love cheering for the contestants you’re standing next to. So Sande always wanted me to keep in mind that the game is the star. He still consults me from time to time, via text or via phone, and if he sees something I’ve done, he’ll put me right back in line. The second key piece of advice I got was from Bob Barker, who let me know that every contestant has a story. It’s the host’s job to bring that story to the forefront so that the viewer at home can relate to that contestant. I mean, we’re not going to relate to a contestant that we don’t feel we have anything invested in. But, if we find out that, you know, Shirley from Arizona has been a postal worker for 35 years and she’s 2 years away from retirement, and all she wants to do is travel to Europe—something she’s never been able to do before—well, doggonit, we now want her to win that trip to Paris that the show’s giving away, or we want her to win the $25,000 that can allow her to do whatever she wants and deserves to do after her retirement. Remembering the game is the star and remembering that each contestant has a story are two very, very key elements in hosting game shows. Let’s start moving on to Monopoly, because that’s why we’re here today. So, Monopoly Millionaires’ Club is premiering nationwide this weekend—I think it’s on my DVR right now here in Baltimore. We’re super excited for this. First, off: the set is gorgeous. My goodness. Yeah! The set is probably the biggest set in game shows now. I mean, I’ve pretty much visited all of them and been in the audience or on-stage for pretty much every game show imaginable and I tell you—when you walk on the stage in Las Vegas and you see the lights and you see the backdrop and you see the different audience sections and you see this incredible floor and the games themselves, it really is awe-inspiring. No expense has been spared. This is full-throttle, full-speed-ahead game show magic. I tell you what, we’ve had some incredible winners already, as a lot of people saw this weekend. This is what game shows need to be in 2015. It is bigger, it is brighter, it is louder, it is more exciting than anything else that’s on television right now. Billy [Gardell] does an incredible job on the main stage and I have the pleasure of playing with the local winners on the other stage, and we’ve got chances for people to win up to $10,000 in less than 60 seconds on my set. It’s a pretty powerful game show experience. We know that Billy Gardell, from Mike and Molly, is the host—he’s on the picture. We know that you’re co-host. I know we reached out and asked you, “are you co-hosting?” And we were super excited when we found out because we love seeing you on TV! You’re a game show ambassador. You know how game shows work. So, what is your role on Monopoly Millionaires’ Club? [laughter] That’s right—I like that! Game show ambassador. That’ll be my next tattoo. Well, you nailed it. I’m Billy’s co-host. Billy’s doing a fantastic job. This is his first jump into the game show world and he really took to it. I have the opportunity to work with the local winners. Every episode in every market, we have a lucky contestant who has not only won the trip to Las Vegas, but has also won the opportunity to sit in the audience on the main stage and come play with me for the chance to win $10,000. So, while the main stage has all the lights, the camera and the action, my area is a little more intimate. My segment is just me, and just the contestant, and just the opportunity to win. So, it’s a little calmer. I just want to take a pin back real quick and talk about what you said about what game shows need to be in 2015. This is a hot debate with our nerdery, if you will, our brand of fanatics. What’s more important to you, personally: is it a show that’s glitz and flash and exciting and there’s a nice little game to it or is it something that doesn’t pay out a whole lot but the game is just so intriguing that it doesn’t need a big payout? What’s more appealing in this atmosphere of television today? That’s a really, really great question because I’ve been a part of both. You know, when I did Whammy, we didn’t give away a ton of money. It was about the game and about the nostalgia and about the interaction with the contestants. 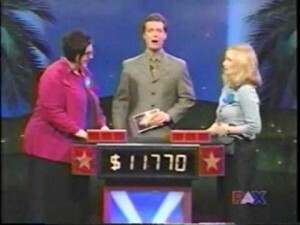 And Whammy is still on GSN today, 12 years later, you know? So there’s definitely room in the marketplace for a game show that just focuses on the structure of the game. However, this is 2015. This is the era of “show me more, give me more, and give it to me right now.” That’s where, I think, a game like Monopoly Millionaires’ Club comes in and fills a void. 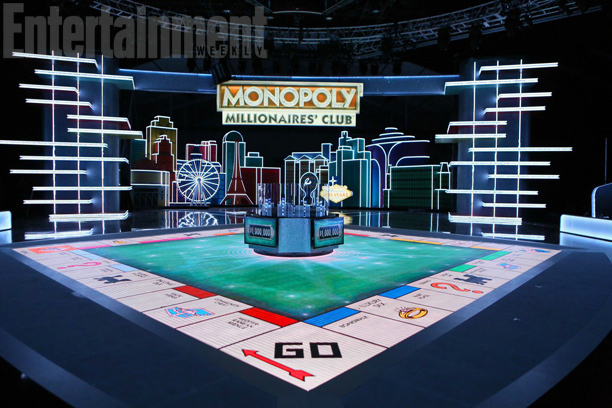 What game show fans thought they wanted, they’re getting that ten-fold with Monopoly Millionaires’ Club. Let’s start with the fact that we’re shooting in Las Vegas, the most exciting, stimulating city in the world. Add to that, this set and the dollar amounts that we’re giving away, and the opportunity to win a million dollars? I mean, it’s exceeding expectations everywhere because we had all these game shows where there was a possibility of people winning a million, but we never saw it happen, you know? That was like checking into a Vegas casino and saying, “You get to eat the breakfast buffet for free, but good luck finding it,” and then you just roam around and roam around until you just grab a sandwich somewhere else because you’re tired of looking. We actually are giving away a million dollars. I’ve seen it done. It’s happened. It’s coming. Viewers are going to be thrilled by it. We’re not just using it as an advertising thing. It’s the real deal. Our show ties both of those factors you mentioned together, because the people behind our show—Kevin Belinkoff, Scott St. John, Scientific Games, even myself, who has game shows in his blood—we’re bringing together the best of both of those worlds. People are seeing really, really interesting, exciting games that are filled with drama, suspense and energy, and they’re going to see major, major payouts. So, no matter what type of game you tend to lean toward as a fan, you’ll be more than satisfied with ours. What’s the future of game shows, in your eyes? Is it people playing game shows on YouTube? Is it interactive where people play at home? Sure, I think online play is going to be huge. I think the Internet is an incredible tool and resource. It is definitely the wave of the future. I think people are watching online more and more. I doubt television is ever going away. I definitely think online viewing is going to become more and more powerful, and I think we’re seeing that with a lot of game shows. GSN does a wonderful job of allowing their viewers to play along online. I think that’ll be the direction a lot of games and a lot of programming in general will be heading. Hypothetical: Someone gives you $10,000,000 and free reign to bring back any game show from all time and you get to host. What game show are you bringing back? Ohhhhh, wow, man. You know, it’s funny—someone just asked me, “If you could have dinner with any person, living or dead, who would it be?” We just played this last night! I split it down the middle, and I said Elvis and Marilyn Monroe because Elvis is my idol and Marilyn Monroe is my dream woman, so I cheated. Boy, if I could bring any game show back. Oof. 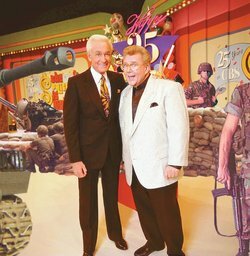 Well, you know, as a fan watching on television, Price is Right with Bob and Rod [Roddy, announcer] together, even more so than Bob and Johnny Olsen. Bob and Rod because that was kind of my game show college, going to those tapings and watching those two. I would’ve loved to have been a part of that somehow. I think if I could bring one back, even though it’s been tried, I would bring back Match Game. But, it would have to be done in the same they did it back when Gene and Charles and all of them were a part of it. I think the reason it’s impossible now is because celebrities are a little too guarded and they’re not as free-flowing. Maybe they don’t serve as much booze backstage on today’s sets as they used to! [laughter] Whatever the key ingredient was. I think I would really put in a good search for the right combination of celebrities to be on the panel, and I, of course, would have the long, skinny microphone and jump in as the host. We interviewed Ken Jennings, Jeopardy! champion, a few months ago, and we ran out of questions, so I’m just going to ask you what I asked him: what is your favorite cookie, and why? My favorite cookie, without question, is my grandmother’s white chocolate macadamia nut cookie. I do not buy white chocolate macadamia nut cookies. I will only eat them if they are made by my grandmother or my mother, because anything else pales in comparison and is nothing but a cheap imitation. However, I will add that I cannot eat more than two white chocolate macadamia nut cookies unless I have a mug of milk to go with it. Are they chewy, are they crispier…? Oh, definitely they’re more chewy than crispy. I like them right out of the oven. I think it’s the fact that it takes me back to my childhood. You know, Mom and Grandma love seeing their boy with a smile on his face. [laughter] It’s my one food vice. That’s the one I let myself go all out on. Anything else you want to tell the good people who are reading BuzzerBlog today? I would love to thank them for following me on this incredible game show journey that I’m right smack-dab in the middle of. There’s no end in sight. It’s only getting better, and Monopoly Millionaires’ Club is absolutely going to give every game show fan what they want. I can’t wait for them to enjoy it. Definitely! Todd, thank you so much. It’s been a pleasure talking to you. I’ve looked up to you for so long. You’re just the most positive ball of energy. You’re like game show Mr. Rogers at this point. I just look at you and I’m like, “I need to be like that guy.” So thank you! Aw, man. Thank you so much, Cory. That’s very cool. Oh! Hey, I don’t know how much room you have in this article, but I have a brand new charity that you could give a tiny mention to. You know what? I’m the boss. I have as much room as I’d like to put in. Oh! You’re very kind. It’s called the Newton Fund 4 Kids. (http://www.newtonfund4kids.org) We provide the financial support necessary to offer state-of-the-art pediatric health care for all children in need, regardless of the family’s inability to pay. We just launched in January. It was created by myself and my two kids. Because it’s a family venture, I’m super proud of it. I’m going to be traveling all over the country this year, hosting events to raise money for it. I would love for people to check it out and to see what we do. Not only do we provide the health care and treatment for the children, but we also provide programs to support the siblings of the child who’s being treated, as well as the parents. When one member of the family gets sick or injured, it affects the whole family. 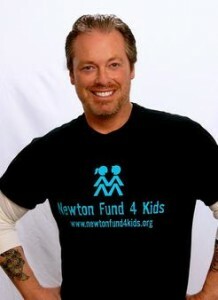 Newton Fund 4 Kids is there to help people and to relieve the financial strain of the treatment. Monopoly Millionaires’ Club is airing nationwide. Check PlayMMC.com to find out when it airs in your neck of the woods. Thanks to Todd Newton for humoring me for half an hour.